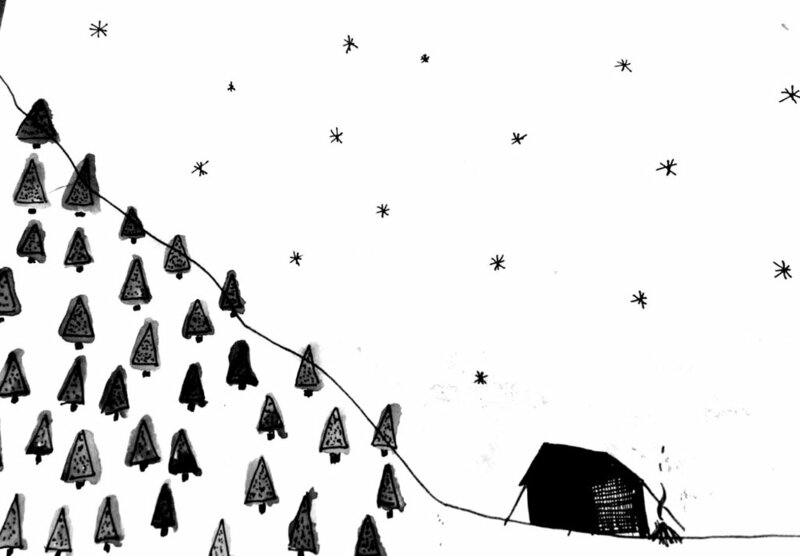 Even in Ireland, winter can bring a deep freeze to the mountains. It might seem balmy at sea level, but up in the hills you can find yourself walking through deep snow and surrounded by thick cloud. If you love hillwalking, this is an exciting time, as the mountains you know and love are transformed into strange, snowy landscapes. This is prime time for winter mountaineering, Irish style — ice axe, crampons and all. Which is what I was doing meeting mountain guide Piaras Kelly of Kerry Climbing, and a group of eager climbers, on a dark January morning at Cronin’s Yard, the traditional start point for ascents of Carrauntoohil. Through the dim light I could just about make out the snow-capped ridges of the MacGillycuddy’s Reeks above us. 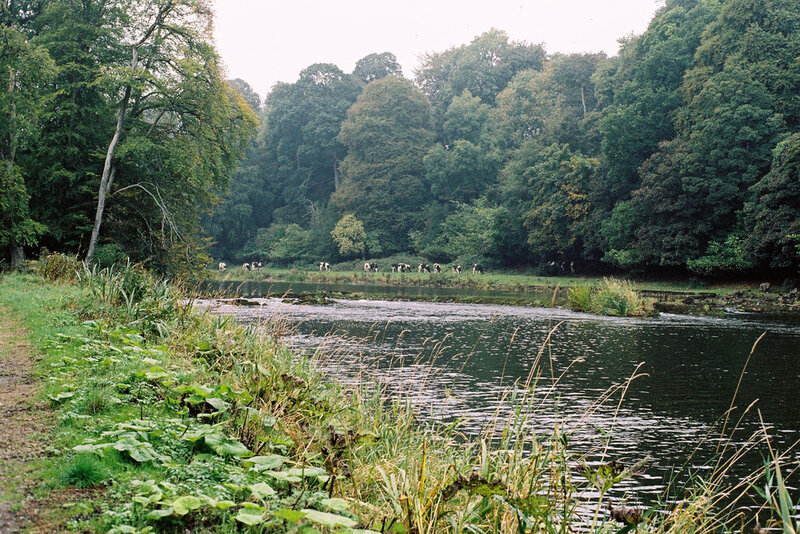 The Avonmore in Co Wicklow makes a case for being one of Ireland’s great rivers. What it lacks in length and volume, it makes up with sheer spirit, flowing wide and quick from Lough Dan to the point where it meets the Avonbeg, below Rathdrum. Together they form the Avoca. A new trail launched in April, the Avonmore Way, explores this wooded valley. I walked it southward on a hot June day. From Trooperstown Forest (just outside Laragh), cross the bridge at the back of the car park and go right at the junction. Soon you pick up the waymarkers for the Avonmore Way as you climb through Scots Pines. In the summer heat, botanical life seemed to sprout from every crevice: bracken and gorse, hawthorn and birch, rowan and wildflowers blooming in any open space. Hiding between the wild coastlands of Mayo and Donegal, Sligo’s landscape is less dramatic but more lush and green. Benbulbin draws most of the county’s plaudits, so other hills are forgotten. The 78km Sligo Way traverses the county’s less trodden, boggy uplands. I wanted to spend a day exploring it, so headed for the village of Collooney. From here the trail follows the Owenmore and Ballysadare rivers into Union Wood, where old oaks and mossy crags sit uncomfortably beside spruce plantations. Further east it crosses the high heathlands of Slieve Daeane. I had feared a dull slog over this hill but instead found real drama at Lough Lumann, a mountain lake with a backdrop of tall heather-coated crags. Showers passed over and mist erased the summit. This is the best kind of hill weather, an interplay of sun, cloud and rain that changes the light and landscape with each moment. It’s impossible to write about Sligo without reference to Yeats, whose words have become a filter through which we see the county. He wrote “we should make poems on the familiar landscapes we love, not the strange and rare and glittering scenes we wonder at”. According to John Cowell’s book Sligo: Land of Yeats’ Desire, a chamber tomb near the summit of Slieve Daeane is known as Cailleach Beare’s house. In a note to his poem The Hosting of the Sidhe, Yeats explains that Cailleach was a fairy who “went all over the world seeking a lake deep enough to drown her faery life . . . until, at last, she found the deepest water in the world in little Lough Ia” on top of this hill. But this lake’s name wasn’t on my OS map. If anybody lived here like Thoreau, it was Beezie Gallagher, who was born on the lake’s Cottage Island and later returned to live there, rowing into Sligo regularly. She hand-fed birds and squirrels inside her cottage, and banned a visitor who threw stones at rats. She was rescued after a blizzard in 1947, then in her 80s, but rowed back to her island home after a week of recuperation. She died there in a fire in 1951. Leaving the forest, the trail crosses rough bogland and woods before emerging to a slipway that looks out on Inishfree, the end point of my walk through Yeats country. Walking a riverbank gives you new perspective on a landscape. While climbing a mountain opens the land up around you, walking a quiet waterway hides you from the world. The river becomes your own private highway through the countryside. 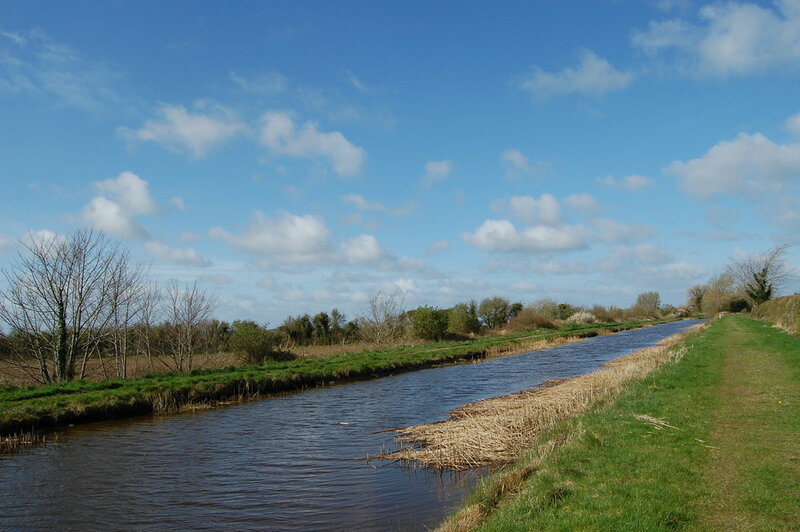 Was any Irish river historically more important than the Boyne? Ancient landmarks line this valley: Newgrange, Knowth, Dowth, Trim Castle, the site of the Battle of the Boyne, the Hill of Tara. We set out from the car park in Navan and followed the old towpath. Canals were built along the river between 1748 and 1800 to make it navigable for trade. Barges carried grain, coal, flour and other goods between riverside mills and the port at Drogheda. Pleasure boating later became popular, but the waterway succumbed to competition from roads and rail and grew derelict. 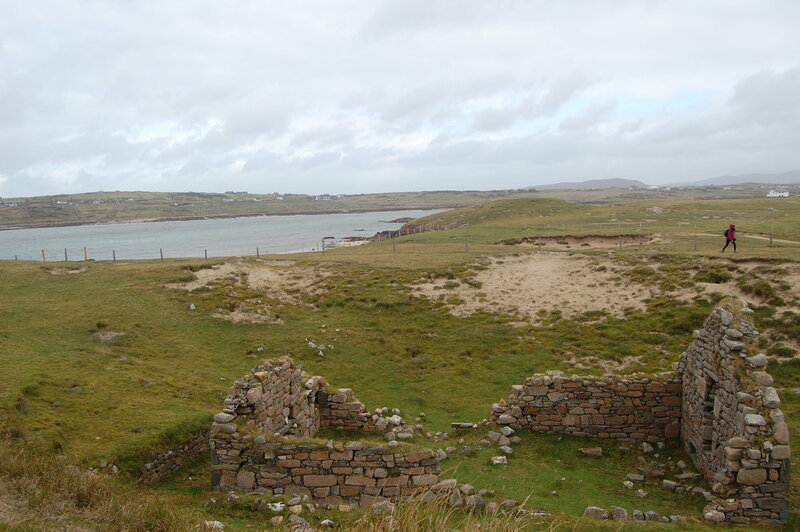 An Taisce acquired the navigation in 1969, and its seaward end is now being restored. Above us the sky was heavy with cloud and the forecast was for rain. But the autumn light was clear and liquid, and the landscape full of colour. The towpath was lined with tall mixed woodland. Autumn leaves were turning yellow and orange as chlorophyll broke down and other pigments took over. Some ash leaves were lemon yellow, and tall gnarled oaks were laden with acorns. We saw a heron fishing by a weir, and watched a moorhen take cover in canal-side vegetation. I had only come from Galway, but the change in landscape felt dramatic. The trees were taller and stouter here, the fields wider and greener, their boundaries composed of shrubs rather than stone. The land seemed more colourful, though less wild. My walking buddy picked up horse-chestnut seeds from the towpath, and we went over the rules of conkers to affirm we still knew how to play. “We used to paint them with nail varnish,” she said – to make them stronger in battle, naturally. We stopped by the ruins of a lock, bridge and cottage. We passed the impressive red-brick manor of Ardmulchan Demesne, the ruins of Dunmoe Castle – which Cromwell’s forces are said to have fired a cannon ball at – and medieval Ardmulchan church and cemetery. I knew it was unlikely, but I daydreamed that we might see someone rowing a Boyne currach down the river. Unique to this waterway, these ancient oval vessels were made from woven hazel rods and animal hide. Local artist and currach builder Claidhbh Ó Gibne is now helping to revive this craft. He’s building a 36ft version that he plans to sail from Spain to Ireland to mimic the journey of the ancient Celts. Soon we arrived at six-arched Broadboyne Bridge – an information panel told us it was once customary to bring cattle across the river nearby to ward off fairies and certain diseases. Then the rain arrived. We sat under a tree and ate lunch, then turned around for the long walk back to Navan in the fresh autumn drizzle. GO WALK: BOYNE RAMPARTS WALK, NAVAN Start & Finish: Ramparts car park, Navan, just outside the town centre on the R153. If you have two cars you could finish at the car park/trailhead by Broadboyne/Stackallen Bridge rather than return to Navan.Distance: 16km (8km if going one-way).Map: OSI Discovery Series Sheet 42Suitability: Easy, flat path but there are no facilities or escape points along the way. We simply need that wild country available to us,” the US novelist and historian Wallace Stegner wrote, “even if we never do more than drive to its edge and look in.” This is an arresting idea: that wild places nourish our spirit even if we never enter them. If there is true wild country anywhere in Ireland, it’s in the Nephin Beg mountains of north-west Mayo. In March, Coillte and the National Parks and Wildlife Service designated 11,000 hectares of bog, mountain and forestry here as Ireland’s first wilderness area, dubbed Wild Nephin. And you can do more than just look in from the edge. Three looped trails at Letterkeen explore the southern part of this wilderness. In early July I set out on the 12km Letterkeen Loop (marked with purple arrows), crossing a footbridge over the Altaconey river and following the bank of a quick, shallow stream. The ground was thick with tall bracken, the trail hard to make out. The trail crossed streams, traversed wet bog and climbed to over 200 metres in the first few kilometres. The track here is often sopping wet, but after warm weather it was mostly dry. An hour and a half later I arrived at the Lough Avoher hut (pictured above), a small lean-to for backpackers, built last year by the voluntary group Mountain Meitheal. I had brought my camping gear; this would be my bed for the night. I cooked some pasta and climbed a little up the hill behind the hut to watch the sun set. Then I went back and settled into my sleeping bag. A swarm of midges biting my face woke me at 6am. In 1964, the US became the first country to legally designate wilderness — public land without roads or mechanised transport, where “man himself is a visitor who does not remain”. Conifer plantations are often unloved by hillwalkers, but they still offer remoteness and solitude, and plans to ‘re-wild’ the Nephin forests could provide an exciting blueprint for other plantations. The goals of Wild Nephin are certainly inspiriting. Coillte will set aside 4,400 hectares of forestry and re-wild it to improve habitat and boost biodiversity. Forest roads will be closed and converted to trails, and basic shelters and campsites developed for backpackers. 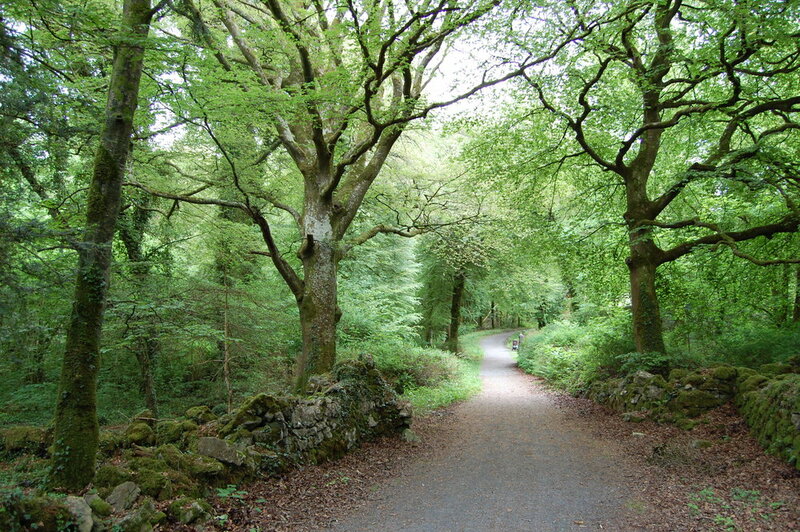 Coillte says the region will offer solitude, challenge and “primitive recreation”. After breakfast, I followed the trail above the forestry. I studied a damselfly, watched a group of ravens play over Nephin Beg mountain, and startled a frog from the grass. I followed the muddy trail up to a 311 metre summit: take care here and stick with the markers, there is very steep ground nearby. Then I descended through the forest to a track that soon joined the Altaconey river again. The mature forest here was thick with ferns, lichen, and moss. Soon I arrived back at the car park, and stepped out of the wild country.